Read the full Presidential Proclamation HERE. On Friday August 26th, President Obama announced the expansion of the Papahānaumokuākea Marine National Monument off the coast of Hawaii, creating the world’s largest marine protected area. Building on the United States’ global leadership in marine conservation, today’s designation will more than quadruple the size of the existing marine monument, permanently protecting pristine coral reefs, deep sea marine habitats, and important ecological resources in the waters of the Northwest Hawaiian Islands. The monument was originally created in 2006 by President George W. Bush and designated as a UNESCO World Heritage Site in 2010. Since that time, new scientific exploration and research has revealed new species and deep sea habitats as well as important ecological connections between the existing monument and the adjacent waters. Today’s designation will expand the existing Marine National Monument by 442,781 square miles, bringing the total protected area of the expanded monument to 582,578 square miles. The expansion provides critical protections for more than 7,000 marine species, including whales and sea turtles listed under the Endangered Species Act and the longest-living marine species in the world — black coral, which have been found to live longer than 4,500 years. 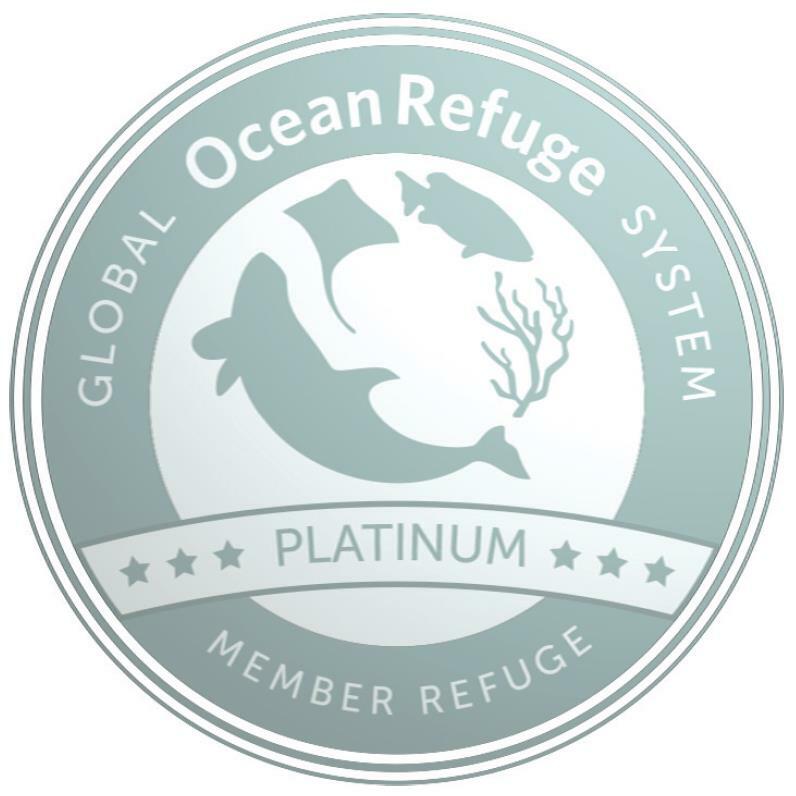 Additionally, as ocean acidification, warming, and other impacts of climate change threaten marine ecosystems, expanding the monument will improve ocean resilience, help the region’s distinct physical and biological resources adapt, and create a natural laboratory that will allow scientists to monitor and explore the impacts of climate change on these fragile ecosystems. The expanded monument area also contains resources of great historical and cultural significance. The expanded area, including the archipelago and its adjacent waters, is considered a sacred place for the Native Hawaiian community. It plays a significant role in Native Hawaiian creation and settlement stories, and is used to practice important activities like traditional long-distance voyaging and wayfinding. Additionally, within the monument expansion area, there are shipwrecks and downed aircraft from the Battle of Midway in World War II, a battle that marked a major shift in the progress of the war in favor of the Allies. All commercial resource extraction activities, including commercial fishing and any future mineral extraction, are prohibited in the expansion area, as they are within the boundaries of the existing monument. Noncommercial fishing, such as recreational fishing and the removal of fish and other resources for Native Hawaiian cultural practices, is allowed in the expansion area by permit, as is scientific research. 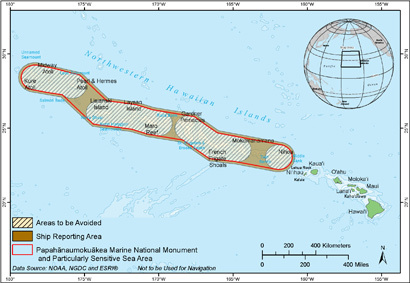 The Northwestern Hawaiian Islands Marine National Monument was established by Presidential Proclamation 8031 on June 15, 2006 under the authority of the Antiquities Act (16 U.S.C. 431-433). It was expressly created to protect an exceptional array of natural and cultural resources. A year later, it was given its Hawaiian name, Papahānaumokuākea. The extensive coral reefs found in Papahānaumokuākea - truly the rainforests of the sea - are home to over 7,000 marine species, one quarter of which are found only in the Hawaiian Archipelago. Many of the islands and shallow water environments are important habitats for rare species such as the threatened green turtle and the endangered Hawaiian monk seal, as well as the 14 million seabirds representing 22 species that breed and nest there. Land areas also provide a home for four species of bird found nowhere else in the world, including the world's most endangered duck, the Laysan duck. Various protection efforts in the region have been enacted over the century, beginning in 1903 when President Theodore Roosevelt sent in the U.S. Marines to stop the slaughter of seabirds for feathers and eggs at Midway Atoll. Over the next 100 years, six U.S. Presidents and one Hawai'i Governor afforded the region increasing protection (learn more). The Monument has a unique co-management structure, with three Co-Trustees and seven Co-managing agencies (learn more). These groups work together to achieve the Monument's vision and mission. fishing info: Commercial Fishing Prohibited throughout. Recreational fishing strongly regulated in expanded area.